Discover Scuba? 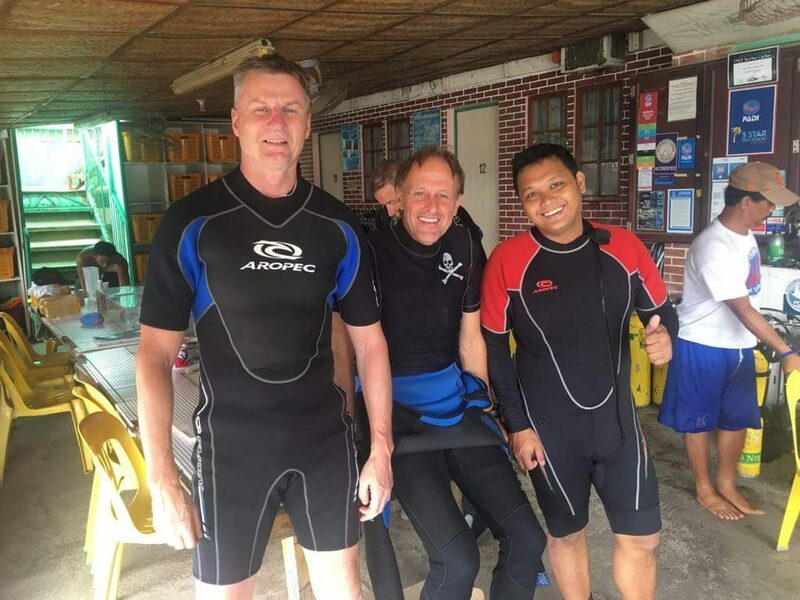 Have you ever wonder why divers are always smiling when they return from a dive at Subic Bay? Perhaps, you have heard your significant other talking about their dives with a dream voice you think should be reserved for you and you want to check out the “competition”? Maybe, you have considered you might want to learn to scuba dive but are concern that you might not like it after you invest in a full course? Or just maybe, Scuba Diving is on your list of things you want to do at least once in your life. Before the dive, serious fun. After the dive, only fun. If any of the above gets your nod, then Johan’s Beach and Dive Resort has the half day experience that you have been looking for. 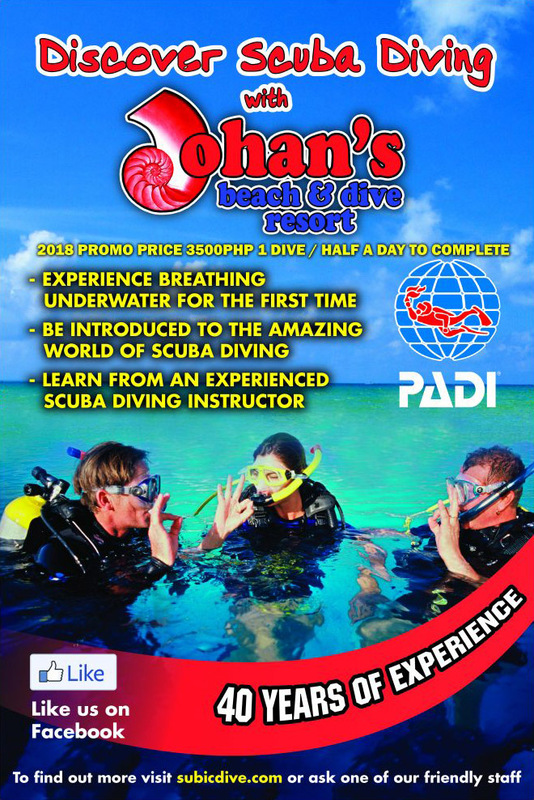 As a PADI five star resort, Johan’s offers the PADI approved Discover Scuba Diving Program. 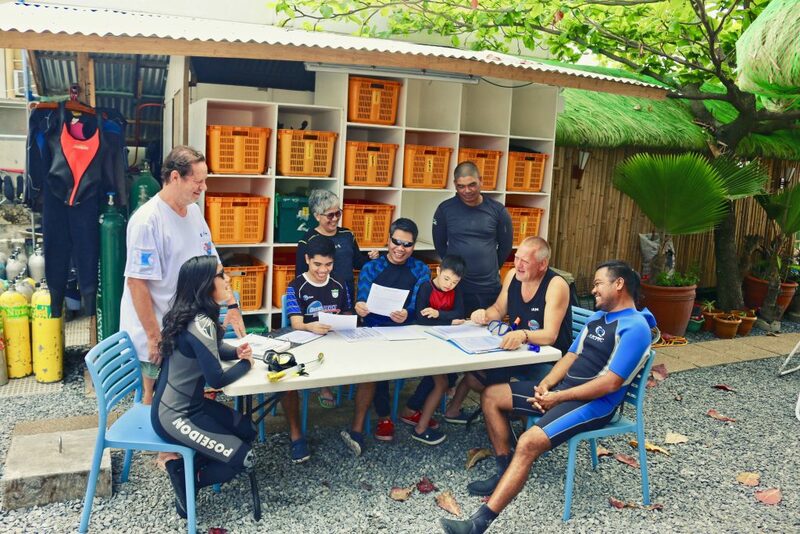 The program, sometimes also called resort diver, is an introduction to scuba diving for adults and children age 10 and up. You do not need to be a great swimmer, just comfortable in the water and you will need to answer a simple medical questionnaire. 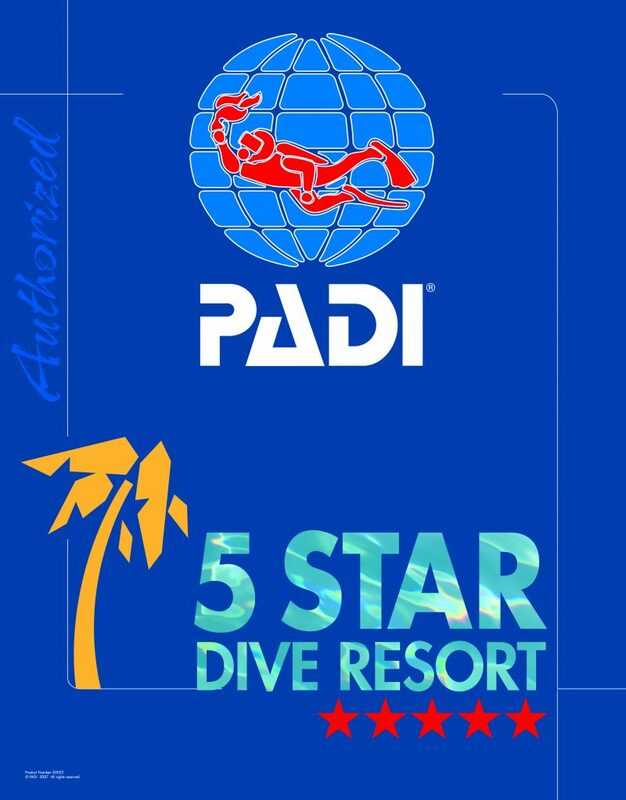 The program is modeled after the first lesson in the Open Water Diver certification program, and is limited to four students per instructor. Most often the class size is one or two students. The program is divided into three sections, knowledge development, confined water skills and the open water dive. The knowledge development covers items such as hand signals, breathing rules and equalization techniques. There will also be a demonstration of the equipment you will be using and you will try on and fit your gear. The second section is the confined water skills. This is done in the shallow water in front of the resort. These are the same task that divers learn in their first water session, do not worry they are as easy as breathing. In fact, the first task is breathing, using your regulator. The regulator is gently held in your mouth with your teeth lightly biting down on the mouthpiece and your lips providing a seal over it. You breath normally through your mouth.Another critical skill that is practiced is recovering the regulator if for some reason you lose it. You will be shown twomethods while on land and will practice in the shallow water. The methods are fool proof and become second nature within just a few practices. It is not uncommon for a new diver having to use this task. They will get a smile on their face so big or drop there jaw at something so awesome that they forget about the regulator and it drops from their mouths. Divers will also practice the equalization techniques that were discussed and how to remove water from their mask underwater if it leaks a little. The last task to be practiced is inflation and deflation of the BCD at the surface. When you and your instructor are comfortable you have mastered the simple task, it is time for the open water session. The open water session is limited to 12 meters/ 40 feet. The site selected will be at the discretion of the instructor. Many times the Discover Scuba Divers will be on the same dive boat as certified divers. Certified divers generally do a shallower dive as their second or last dive of the day. Dive sites such as the El Capitan, San Quentin and the barges are ship wrecks turned into artificial reefs that are used as second dives and are also within the range of the Discover Scuba Diver. The reefs at the Canyons and the lighthouse reef are also dive sites used as second dives and for Discover Scuba Divers. You will start your open water session following the same procedures that certified divers use. First off is the site briefing, which will show you details of the dive site and what you can expect. The second part is the dive brief which will include the time and depth limits, as well as a general description of what you will do. When you are at the dive site, you will follow the instructor’s guidance. The first step after descending with be one more round of the skills you previously practiced in confined waters. This time you will feel like a pro and likely need only one try and will be done in a minute or two. Then you will join the instructor as he leads you on a guided tour of the dive site. 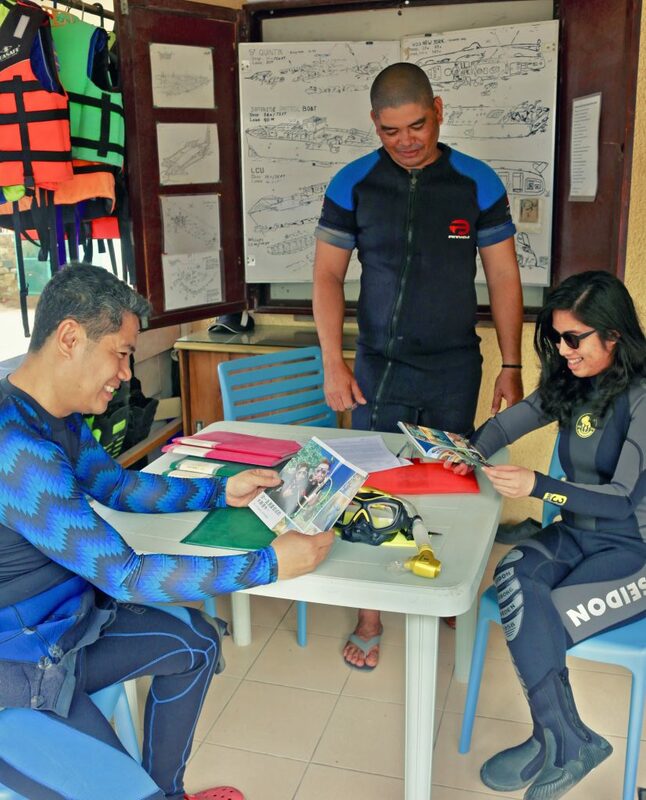 The instructor will be within arms reach and will adjust your buoyancy for you as you dive. Additional dives are possible without the knowledge portions requirements. Certified divers might want to suggest a Discover Scuba dive to a non- diving friend or significant other, so that they have a bit of insight into your passion. Diving is a family activity and a Discover Scuba Dive is a great way to introduce your children to the sport. Just think of the “What I did This summer” essay that all teachers seem to ask for the first week of school.